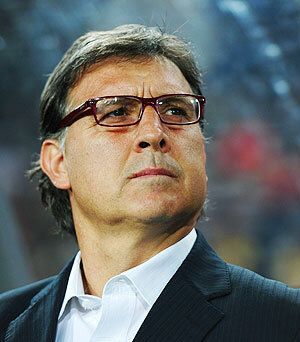 Barcelona have hired Argentine Gerardo Martino to replace Tito Vilanova as coach, the Spanish champions said on Tuesday. The 50-year-old Martino, like Barca's World Player of the Year Lionel Messi a native of the city of Rosario, has agreed a two-year contract, Barca said on their website (www.fcbarcelona.com). Vilanova, 44, stepped down last week to continue treatment for throat cancer after leading Barca to the La Liga title in his first season since taking over from Pep Guardiola. Who will helm Barcelona after Vilanova's exit?